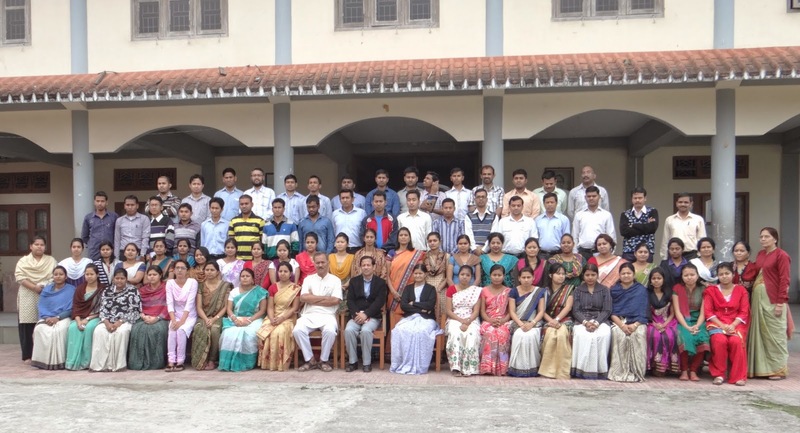 Universal Brotherhood day was celebrated in Vivekananda Kendra Vidyalaya, Dibrugarh on 11th September 2014, to commemorate the world famous speech delivered by Swami Vivekananda on 11th September 1893, at Chicago in The World Parliament of Religions. The programme started with Mangalacharan followed by welcome speech by the Principal of the school, Sri Ravindranath D. Savdeykar. 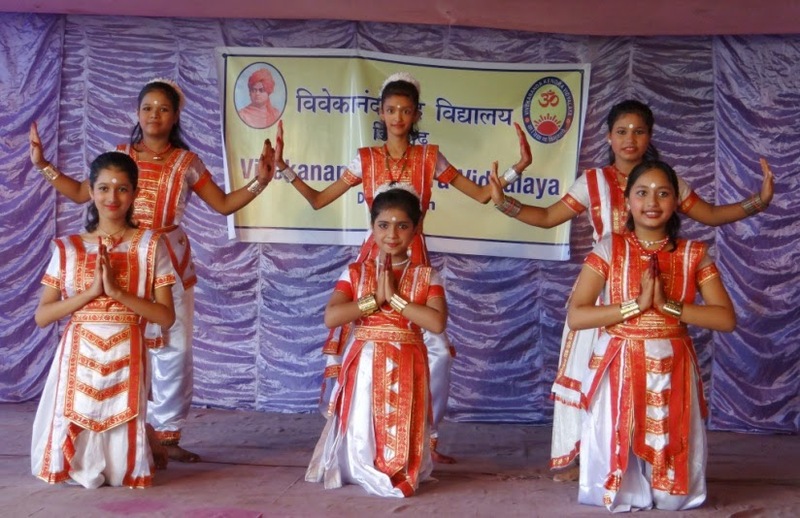 It was followed by a Patriotic Song performed by the students of Class VI to IX which was followed by the Mock speech of Swami Vivekananda which he had addressed in the famous World Parliament of Religion in 1893. 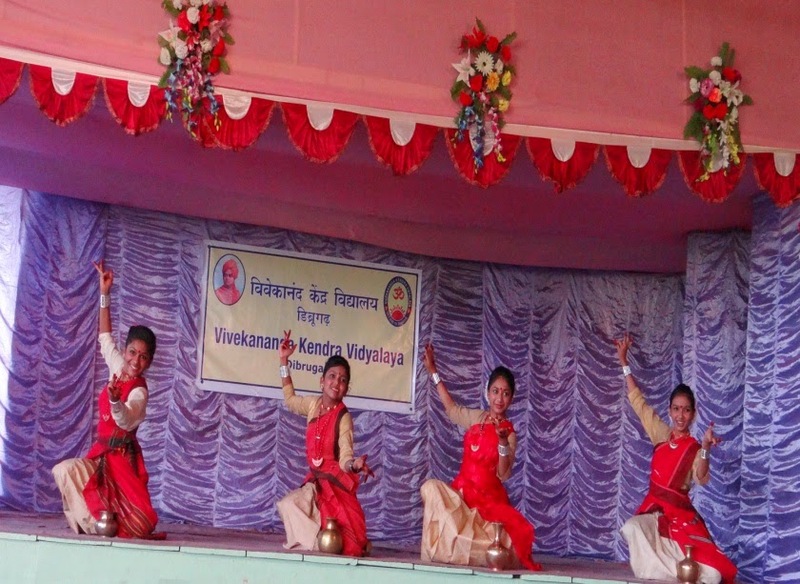 The programme was graced by the Principal of DHSK Commerce College, Dibrugarh, Dr. Khanindra Mishra Bhagawati as the Chief Guest highlighted that the idea behind celebrating the function was to spread the message of Universal Brotherhood. He also reiterated that Universal Brotherhood which Swamiji suggested in 1893 is even relevant even today. Dr. Meenakshi Barve, Retd. Director School of Education, YCMO university Nasik was present in the occasion as Guest of Honour. She highlighted the importance of youth in Man Making and Nation Building by saying that one should bear the responsibility of the work he or she has done. Dashavtaar Nritya, Patriotic Song, Jhumur Nritya, Creative Dance and Surya Namaskar were the highlight of the programme. Smt. Hironmoyee Das, in-charge of the Primary section delivered the Vote of Thanks. The programme concluded with Shanti Mantra.